I believe our prime purpose in this life is to help others. I want to take care of someone else. Be there for someone else. I don’t want anyone to ever feel the way I felt. The most wonderful places to be in the world are in someone’s thoughts, someone’s prayers, and in someone’s heart! And I want all CASA clients to know that and to feel that. To know they are enough. I want to “help” others stop being afraid of what could go wrong and start being positive about what could go right. If I can help just one person . . . then I feel lucky to be a part of what CASA does. I first experienced the feeling of making a difference . . . and having an impact . . . with CASA as a new AAA employee. I took on the additional role of “facilitator” during the “merge” of Auto Club South with The Auto Club Group (MI) to help their employees through the transition. My first suggestion of improving employee morale was through an Employee Committee and organizing monthly events to encourage their team “spirit” participation. Over the two plus years, we did many clothing and food drives for CASA; as well as providing a CASA family all the Thanksgiving Dinner trimmings and then, again, another CASA family with Christmas gifts. 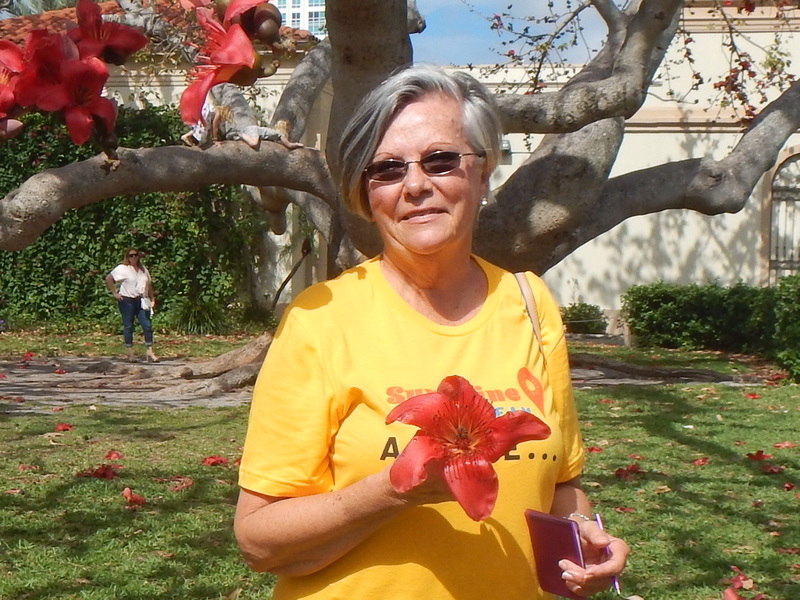 During my AAA employment I became a CASA Core Certified volunteer and remain one even since my retirement. I was honored by my fellow peers, at my retirement celebration, with a donation made to CASA in my name. It touched me deeply . . . such a kind and generous gesture . . . to know they appreciated the difference I want to make in someone’s life. My ability to feel I could make a difference was never felt more than while volunteering at the Visitation Center. Divorce is never easy on anyone but it is always the children that are hurt the most. To be there for a child while their removed parent is allowed to spend one-on-one time was heartwarming. I never truly appreciated my family, my childhood home life, until then. I left a piece of my heart with each child I was assigned. I will always carry their smiles, hugs and laughter with me. I am now an Outreach volunteer with a very special group of ladies. Elder abuse is not something often talked about in our society. To be able to nurture them through their healing, to find themselves and their voices, and to know they have rights through our court system . . . I can’t express the happiness it fills my heart with. Happiness comes a lot easier when you stop complaining about your problems and start being grateful for all the problems you don’t have. But a “healing” has to take place and that’s what CASA does; help others to “heal” in a safe haven. The impact is never felt, or more present, than to volunteer at CASA’s “Peace Breakfast”! To hear guest speakers, CASA staff, etc. share their experiences . . . there’s not a dry eye in the house. Gratitude is the vitamin for the soul . . . my soul . . . and I am so grateful for CASA and our clients. Thank you CASA!